Simply K is a collection of exquisite accessories that are thoughtfully hand-crafted with much precision and meticulous detail, using only the finest quality materials. Designed and founded by Kamae Lee in January 2012, Simply K’s designs are delicately handcrafted using imported grosgrain ribbons, Italian cotton and accented with fresh water pearls and other man-made materials. Simply K is an ingredient branding partner with Swarovski elements. All crystal elements on Simply K accessories are made only with genuine Swarovski crystals imported from Austria. They have been featured by Women’s Weekly & Utusan Melayu too! Check out some of Simply K’s best accessories! A simple design can also have its own charm. This headband comes in a knotted bow with Swarovski crystals in the center. It is simply sweet and pretty. Width of the headband from the top is 2 cm. This lovely pave bead is very charming with its multi-colour effect. 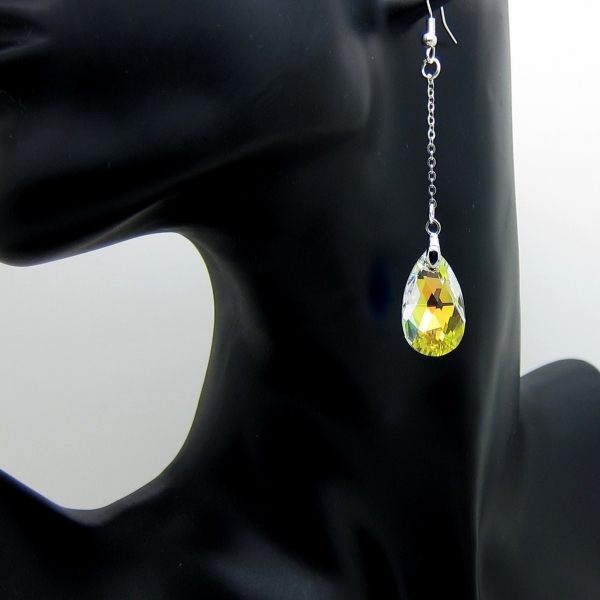 It is crafted with Swarovski crystals and suspended from sterling silver chain. The necklace also drapes an elegant 18-inch in length rhodium plated silver. A teardrop Swarovski crystal earring is a timeless piece of accessory in reflecting grace and charm. Earring is set and hangs from rhodium plated silver chain. Don’t you think all the accessories here are simply lovely? There’s more on Simply K Facebook page – visit them now!